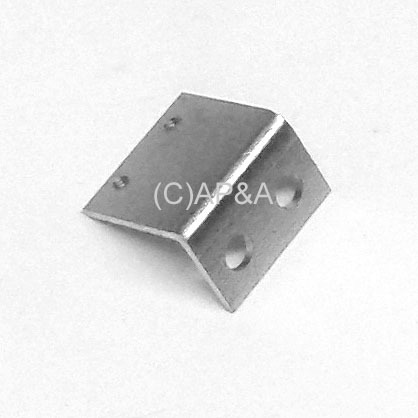 90-degree mounting bracket for small microswitches. Has two #2-56 threaded screw holes and two non-threaded holes for playfield mounting screws (screws not included). Used on many Bally and Williams games from early 1980s on up.